Boeing VP for product strategy and future airplane development Mike Sinnett told attendees at the Farnborough International Airshow that cargo-specific aircraft designs could become a reality. “We’ve always started with development of a passenger aircraft and then strip it back to cater to cargo,” said Mr Sinnett. He said purpose-cargo designs would allow for significant remodelling and there would no longer be a need to consider that at some point these aircraft would carry passengers. Following this week’s major order from Volga-Dnepr, fleet development director at the carrier’s subsidiary, CargoLogicManagement, Paul Nolan said: “Look at any aircraft and you see the level of financial and developmental investment is huge. 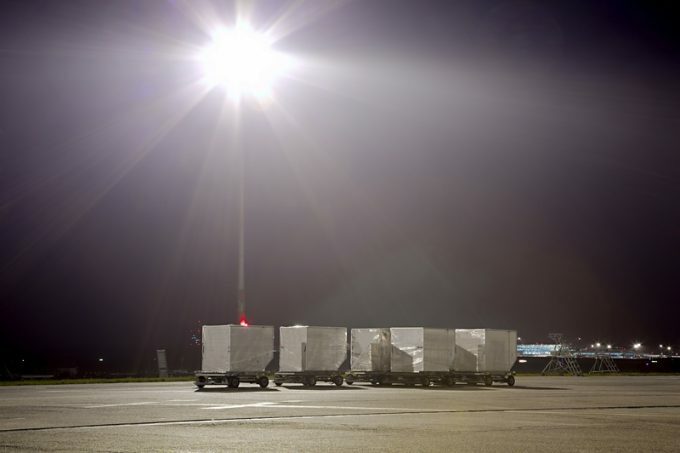 But when it comes to cargo, there’s been a lot less – in fact not really any – in the sector. Even so, Mr Sinnett suggested, there was room for development and added that cargo-specific designs could even be extended to the point where there was no need for pilots. When asked how unmanned aircraft and drones would compete with traditional aircraft, he said Boeing had “tremendous capabilities” to bring these solutions to customers’ needs. “In terms of drone programmes, we have been acquiring outside talent and then developing it internally,” he said.